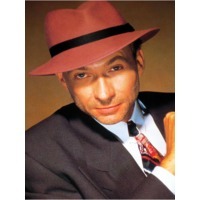 Bobby Caldwell (born August 15, 1951) is an American singer, songwriter and multi-instrumentalist who, despite a prolific musical output over his 30-year career, is still best known for his 1978 hit single "What You Won't Do for Love". While he has always maintained a devoted fan base in the United States, a legendary status has been bestowed upon him in Japan. For R&B and modern jazz fans in the United States, he retains the title of: "The white guy most often mistaken for an African American vocalist."